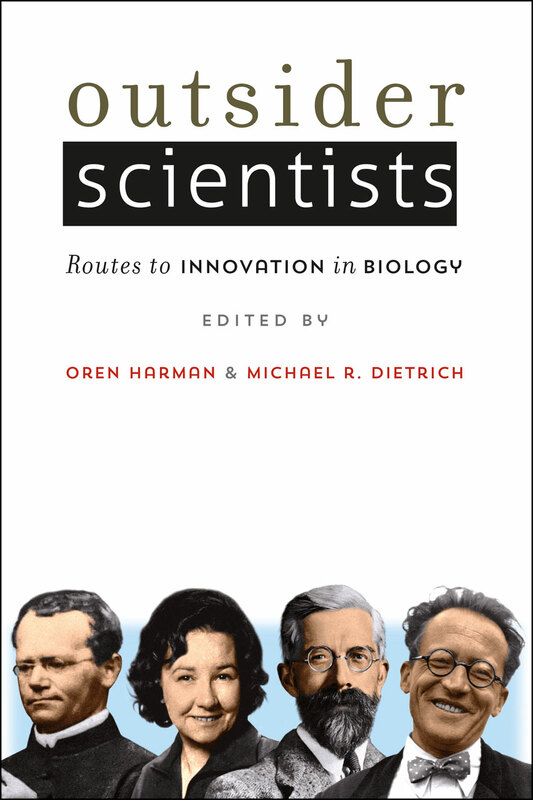 Outsider Scientists describes the transformative role played by “outsiders” in the growth of the modern life sciences. Biology, which occupies a special place between the exact and human sciences, has historically attracted many thinkers whose primary training was in other fields: mathematics, physics, chemistry, linguistics, philosophy, history, anthropology, engineering, and even literature. These outsiders brought with them ideas and tools that were foreign to biology, but which, when applied to biological problems, helped to bring about dramatic, and often surprising, breakthroughs. This volume brings together eighteen thought-provoking biographical essays of some of the most remarkable outsiders of the modern era, each written by an authority in the respective field. From Noam Chomsky using linguistics to answer questions about brain architecture, to Erwin Schrödinger contemplating DNA as a physicist would, to Drew Endy tinkering with Biobricks to create new forms of synthetic life, the outsiders featured here make clear just how much there is to gain from disrespecting conventional boundaries. Innovation, it turns out, often relies on importing new ideas from other fields. Without its outsiders, modern biology would hardly be recognizable. 4 The Paradox of Samuel Butler: Insider or Outsider? Michael R. Dietrich and Robert A. Skipper, Jr.
"Illustrate[s] a variety of ways of coping with the clash of perspectives that is often encountered in attempts to bridge community and disciplinary barriers. Learning to turn this friction into constructive means of devising and testing assumptions--learning to overcome impasses--should be of considerable value to workaday scientists." "Offers a very instructive account of the work and ideas of several important figures of the history of the life sciences from the second half of the 19th century to the present. . . . It shows that individual people, at least on some occasions, are able to perform work and develop ideas that are of great significance. Such a demonstration is invaluable to transmit and to help reinforce the taste for research." "Outsider Scientists is a pleasure to read and would be an excellent companion volume for an interdisciplinary class in history or philosophy of biology, science studies, or, indeed, an introductory course in the biological sciences. The contributors are outstanding, and the quality of the historical scholarship, as well as the writing, is consistently high. This volume is a great boon to teachers of science, as well as history and philosophy of science. I highly recommend to all students of biology and its history."